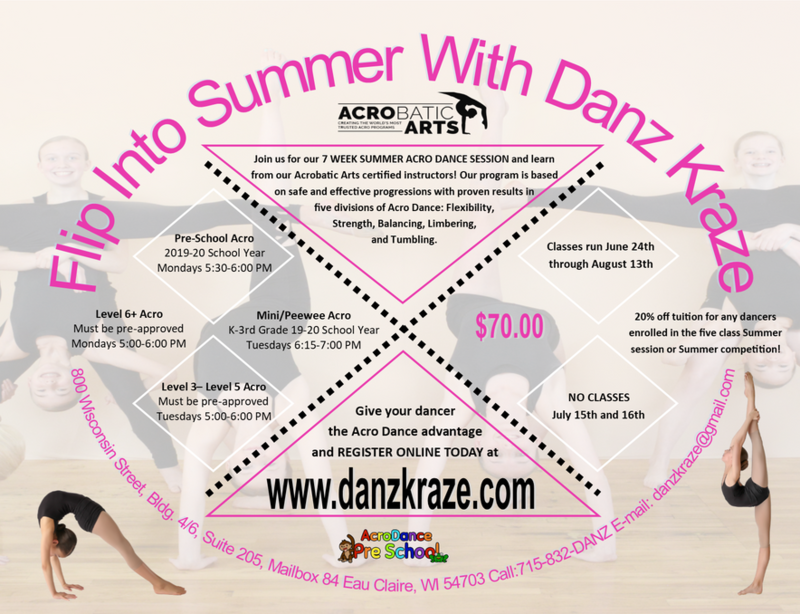 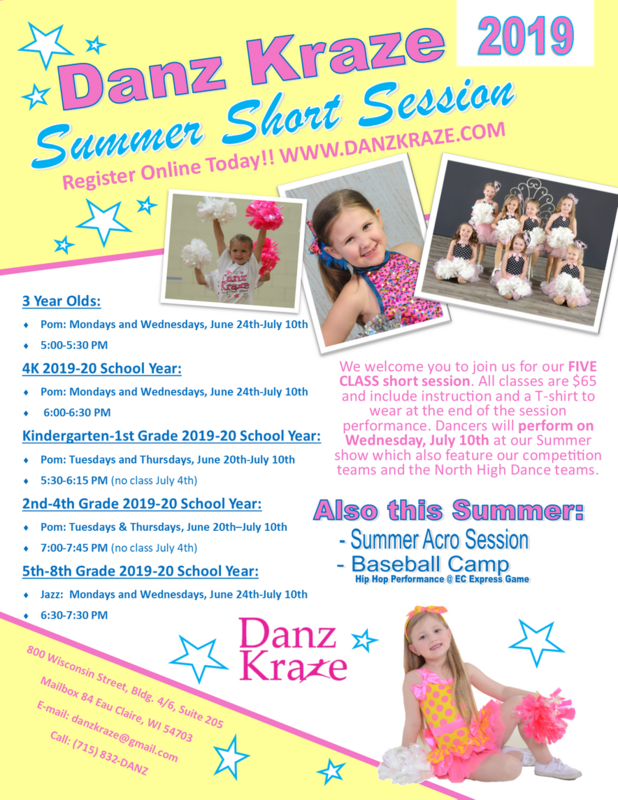 Danz Kraze offers a variety of programs through the summer for dancers ages 3-18. 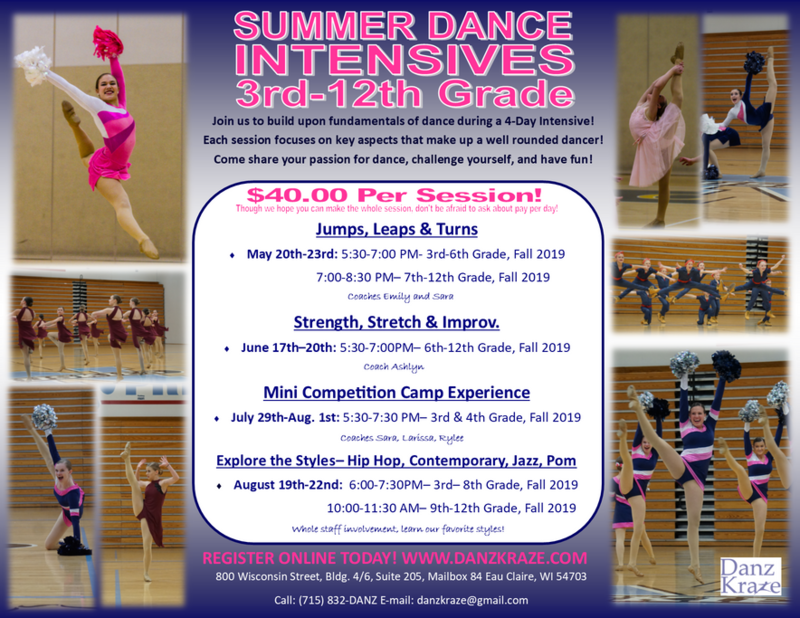 With day camps, week long intensives and short sessions in various styles there is sure to be a program to fit your needs. 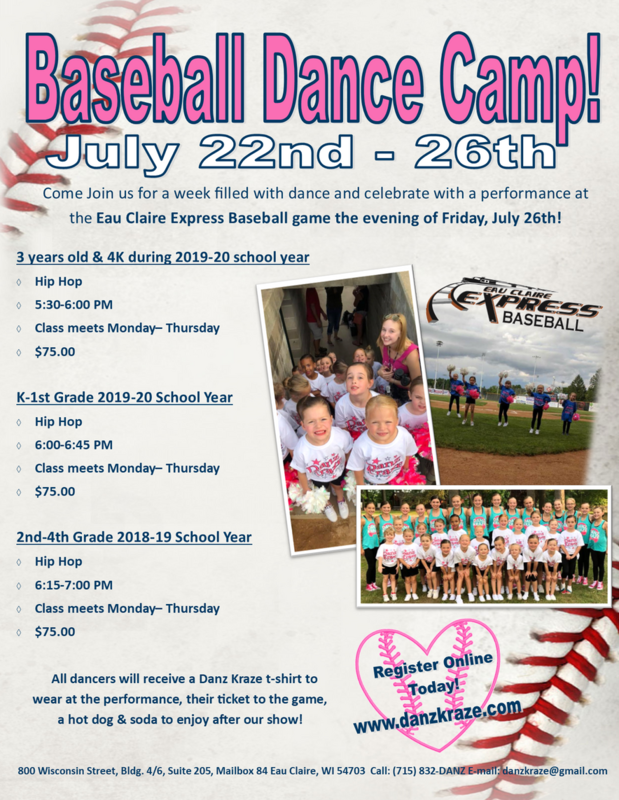 Should you have any questions please contact the office.